With the available spectrum on the radio data system and partnerships with utilities and thermostat makers, radio stations could become giants in energy management. A substantial portion of the infrastructure for smart grid already exists. In fact, you probably listened to it while driving to work. Radio stations and others have begun to look at the Radio Data System – the communications system that lets stations send small amounts of data over FM broadcast signals – as a foundation for demand response and energy efficiency programs. Have you ever rented a car in Europe and heard the national traffic report come over the air? Or seen the name of the current song pop up on the small LCD screen of your stereo? That's RDS in action. The programs would work like this. Utilities would either obtain a license for a portion of the RDS spectrum or lease RDS spectrum services from an established broadcaster. Utilities would then encourage their customers to buy thermostats with FM radio modules and agree to participate in demand response programs. When the utility needs more power, it would send a signal via RDS to the thermostats, which would then ease off the air conditioner to prevent a brown out, said Tim Simon, CEO of Golden Power Manufacturing, a Chinese thermostat company. RDS-enabled thermostats could also be equipped with WiFi and ZigBee radios to control other devices in the home like lights, pool heaters, or dishwashers. How real is it? Golden Power and subsidiary Radio Thermostat Co. of America have been working with the Center for Center for Information Technology Research in the Interest of Society at UC Berkeley and the California Energy Commission on RDS thermostats for a few years. Soon, consumers will be able to pick them up (under a different brand name) at Home Depot, he said. Several Golden Power-produced thermostats are already being sold at the megastore. Golden's main intelligent thermostat will be modular when it comes to communications. It will come with two ports: one for a radio to connect to the utility and one for radio to connect the thermostat to household appliances. The radio modules, which resemble packages of breath mints, then pop in the side. "The transition is slowly starting right now, but within a year, every thermostat they sell [that originated with Golden Power] will be able to accept this radio module. So you will be able to go to Home Depot and buy a $19.95 thermostat and plug this module into it." E-Radio Inc. is one company that makes radio modules that go into those thermostats. It's also involved in six pilot projects, including one last year with the Sacramento Municipal Utility District, and is working with "a variety of device partners," CEO Rick Boland said. One of them is General Electric, apparently. The electronics giant and e-Radio plan to demonstrate "an overview of the new products being introduced by GE with embedded controls to facilitate energy efficiency and demand response" at the Demand Response and Energy Efficiency World conference on May 19 and 20 in San Francisco. Boland wouldn't expand on what his company and GE were planning, nor how much money the four-employee company had raised. But he did say that E-Radio is working with National Public Radio affiliated station KQED in San Francisco among others across the country. That could be a stumbling block for radio-controlled energy efficiency. One of the selling points of smart meters is that they will offer two-way communication between utilities and their customers to set up meter reading, outage detection, power quality monitoring and other promised features of the smart grid to come. And smart meters also promise their own ways to turn thermostats up and pool pumps down, under customer or utility control. Software applications also exist so you will be able to turn off your computer or air conditioner with a PC or cell phone. So, since video killed the radio star, will radio kill the smart grid stars? Although RDS may not be capable of sending as much data as other smart meter systems, it conceivably could be cheap. Houses would not have to be rigged up with smart meters, which can run $100 or more each. Instead, homeowners would just have to buy new thermostats (which they would also likely have to buy in the event they got a smart meter and wanted to engage in demand response programs). Utilities would also not have to invest much in infrastructure. RDS has been a standard in Europe, South America and North America for several years. NPR, added Simon, has expressed interest in figuring out ways to better use RDS. 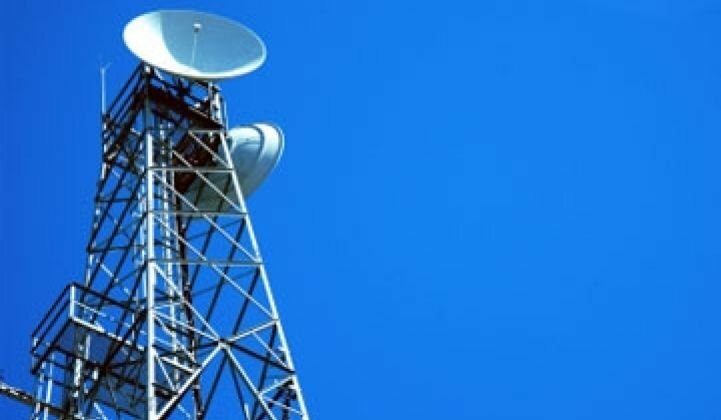 An RDS system could also be cheaper than some of the plans introduced by wireless carriers. Radio, after all, costs less than a cell call. Simon acknowledged that utilities are trying several options. RDS might be most attractive initially to communities or small utilities that don't have the money or the bonds to put together a complete smart grid program. Communities with high air conditioning needs could also install a demand response system quickly with RDS, he said.